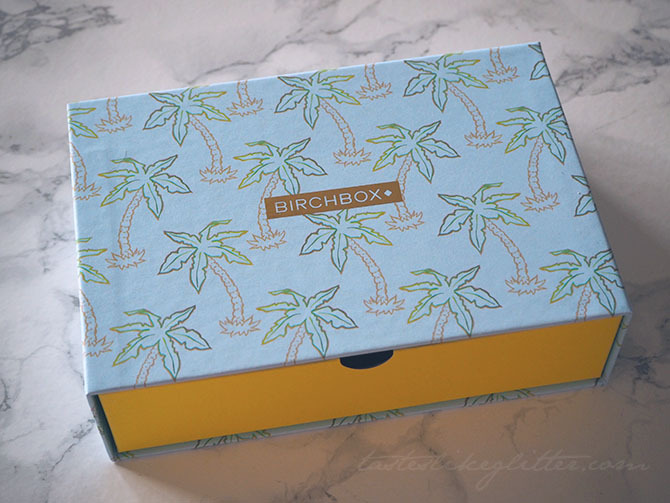 I'm a little late in getting this post up as my new Birchbox is already winging it's way to me. But I thought I'd still pop it up anyway. 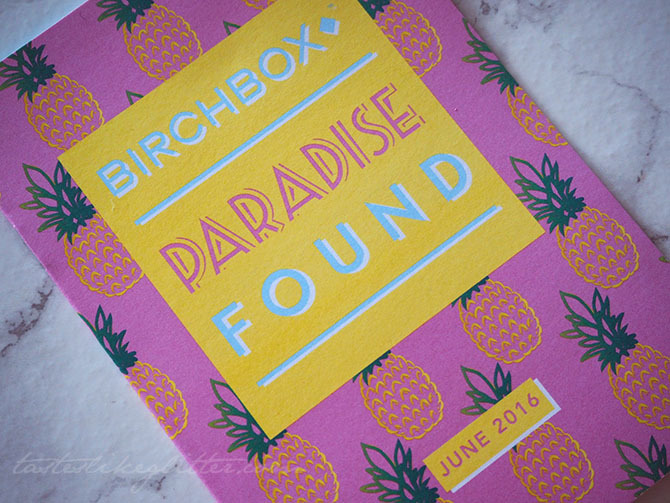 For June Birchbox ditched the regular lid topped box and bag, replacing it with a draw. Which I have to say would look quite nice if the future boxes were like this and you could stack them. Would save a lot of space. Have you ever had that feeling when your face feels tight after cleansing? Apparently this cleanser makes this a thing of the past. It contains natural ingredients such as chamomile and oats that help remove dirt but prevent skin irritation. It works perfectly with a konjac sponge, which it just so happens I got in my last Glossybox. So I'm definitely going to be trying that. I've tried quite a number of Monu products in the past and they've always impressed me. This is a light cream that my skin seems to just drink up. It's packed full of orange, lemon, geranium and rose essential oils. They hydrate the skin and leave behind a fresh citrusy scent. It also has vitamins, cocoa butter and chamomile to make sure you're not left with any dry patches. 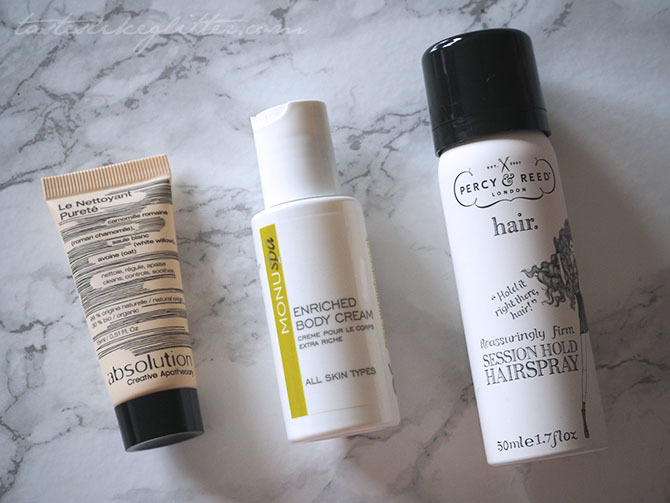 Having just got a fringe, hairspray is something I've definitely been in need of just to make sure everything stays where it's supposed to. This spray is ultra fine and doesn't come with that crispy feeling. It's also great in humidity with a super strong hold that just easily brushes away. Highlighting is one of those things that's really big at the moment. It used to be brows but I feel like we've moved on from that and everything is all about the highlight. This is a creamy formula and a little bit really does a long way. 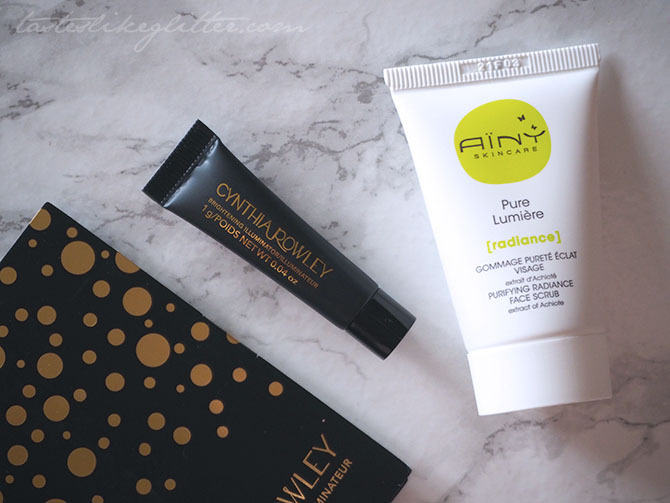 It's the perfect way to warm up your complexion and brighten up certain parts of your face with a golden pearlescent sheen. I only tend to use acid exfoliators but this claims to be extremly gentle. Turning into a nourishing milk on contact with water, releasing a burst of jojoba packed microspheres to exfoliate. It shall be interesting to see if it's as good as I hope it to be. Crown & Glory Bobby Pin Club - June.